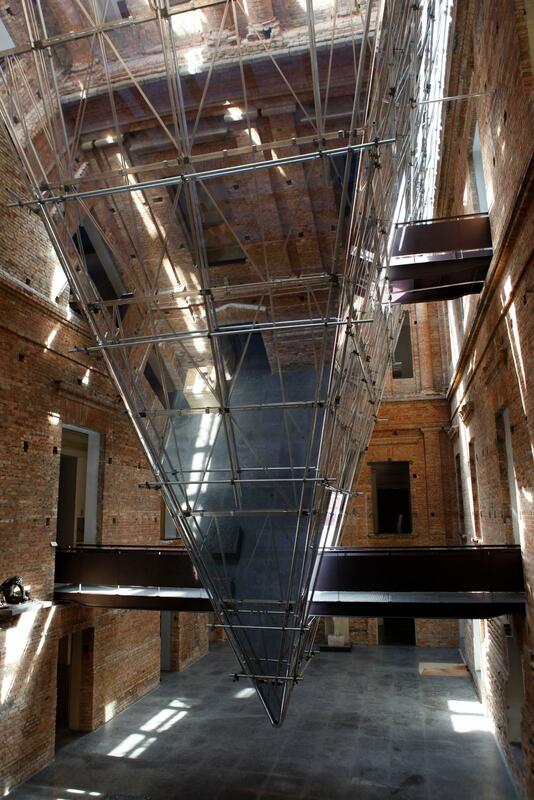 In the inner courtyard of the Pinacoteca do Estado de São Paulo, Brazil, Eliasson installed four inclined walls of mirror foil that formed an inverted pyramid and extended from the floor up to the museum’s latticed skylight. 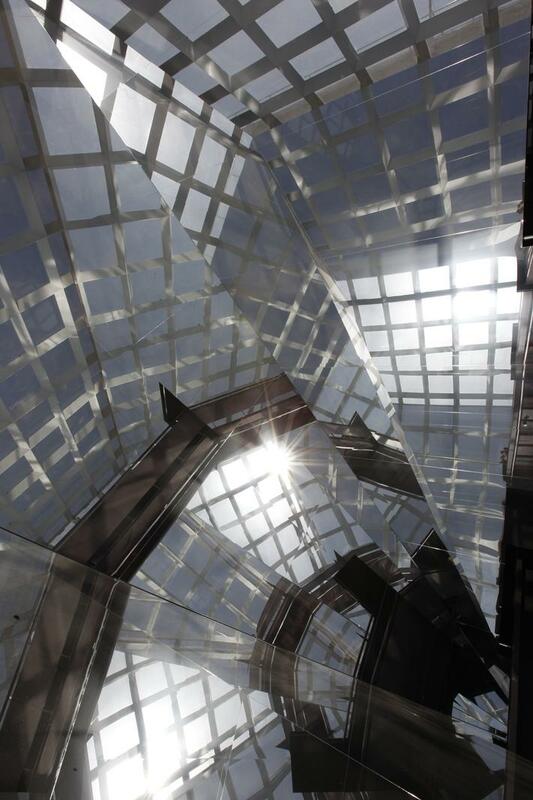 The resulting kaleidoscopic space infinitely reflected the metal framework and the daylight entering from above. The scaffolding supporting the mirror foil panels was exposed, which could be seen while entering and leaving the installation. As visitors progressed along the walkway that crossed the patio, they were enveloped in the reflections created by the mirrors. Collapsing inner space and the world outside, Microscopio para São Paulo realised a central aspect of the exhibition Seu corpo da obra, which closely concerned itself with the relationship between museum and city, architecture, space, and perception.